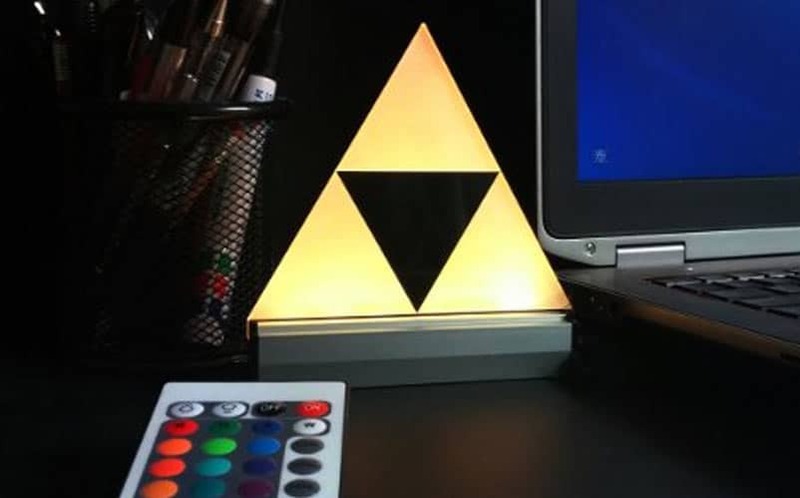 Zelda Triforce LED Lamp (And Others) | Nerd Much? There’s nothing better than seeing little reminders about your favorite stuff scattered about your daily life. It’s like a nod that you’re cool, and you know you’re cool. 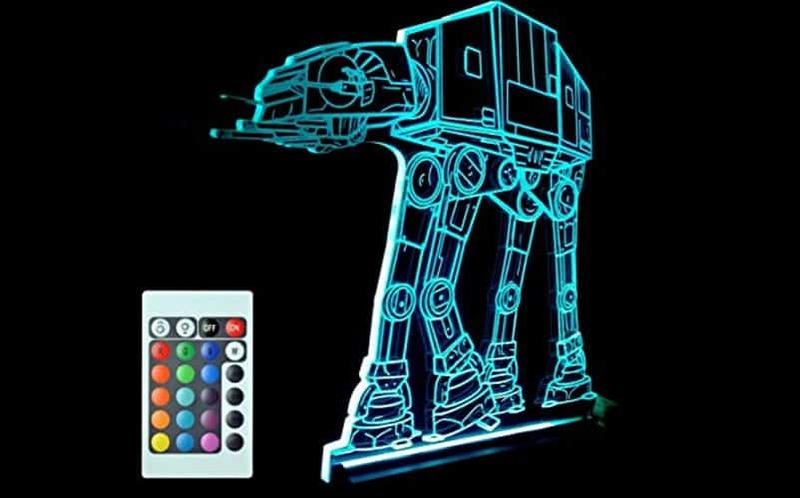 So if you’re into outfitting your digs with cool stuff, check out these LED lamps by Hand make, which takes some of your favorite franchises and gives them a unique glow in 16 colors. One example of these cool LED lamps is a Zelda triforce, which you can set to a glowing yellow to satisfy your daily Zelda needs. But, the company responsible for these gems has a ton of other great designs, including a Star Wars AT-AT Walker and a Millennium Falcon. There are also some non-nerd related types, like NFL helmets and a trippy pink elephant, but those all pale in comparison to a Zelda triforce.